Creekwood, a small collection of condos on the east side of Ann Arbor, currently has 1 unit listed for sale. There have been 0 sales this year, in fact, the last sales were in 2012 when 2 units sold. $155,000. 3001 Fernwood #101, Ann Arbor. 970 square feet with 2 bedrooms and 2 baths. $110,000 3005 Fernwood #204, Ann Arbor. 957 square feet with 2 bedrooms and 2 baths. Condo values continue to rise at Creekwood– see the year-by-year statistics here. For more information or to be notified when a new listing comes to the market, contact the specialists with The Bouma Group, Realtors today at 734-761-3060 or email info@bouma.com. View more Ann Arbor Condo complexes here. 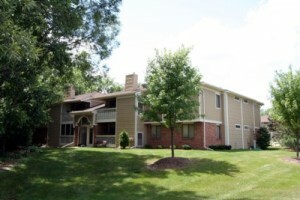 Creekwood Condos is a small complex of 16ranch style units on Ann Arbor’s east side. There is currently 1 condo listed for rent and 0 have sold so far this year. $900/month. 970 square feet with 2 bedrooms and 2 baths. Last year at Creekwood Condos 0 units sold and in 2009, 1 unit sold for $90,000 and $94.04/square foot and 2 units were rented for $800 & $860/month. 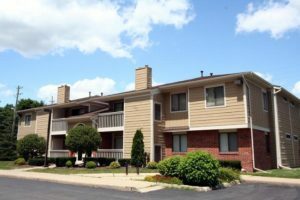 With Ann Arbor condo prices at an all time low, this is the perfect time to buy as a residence or investment property! If you’ve been thinking of buying or would like to know more the nearby Mallets Wood, Aspen Ridge, or Turnberry Condos, contact us today at 734-761-3060 or info@bouma.com. And for instant active and sold information, be sure to visit our Ann Arbor Condo Hotline!